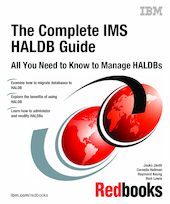 This IBM Redbooks publication describes the High Availability Large Database (HALDB) capability available with IMS. IMS HALDB was introduced with IMS Version 7. It allows IMS databases to grow to almost unlimited sizes while providing increased availability. This book updates IMS Version 7 High Availability Large Database Guide, SG24-5751, as well as adding topics that were not covered in the previous book. This publication documents our hands-on experience in a test environment. It includes migration and administration examples. Some IBM Data Management Tools for IMS are also discussed in this publication. Special emphasis is given to the IMS HALDB Conversion and Maintenance Aid product. Examples of the use of these tools are provided.